Kotaku got the scoop on some new details for the Special Ops co-op missions in Call of Duty: Modern Warfare 2, several of which alleviate some of the pain of the lack of a proper co-op campaign. Enough whining; on to the good stuff! Activision has confirmed that Special Ops is limited to two players, but -- thankfully -- will be playable online as well as splitscreen. 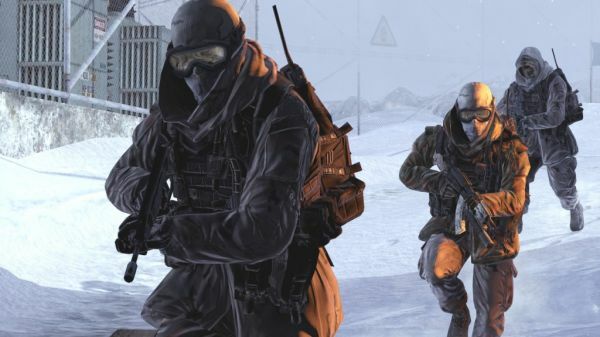 After Infinity Ward Community Manager Robert Bowling's comments in the Bonus Round panel regarding more intimate co-op settings, there was some fear that Special Ops would be offline only. According to the publisher, Modern Warfare 2 will placate fans of couch co-op and online co-op alike. Furthermore, players will be able to choose the difficulty at which they'd like to play each mission. The higher the difficulty, the more stars they will win -- stars which unlock...things. As yet, we don't know what type of content can be unlocked, but there is some really nice potential; even beyond that, it gives Special Ops better footing as a mode that enhances the overall experience (i.e. not tacked on). Kotaku has the hands-off description of a brief run-through of one mission. It sounds like fun, and by all accounts: challenging. We're very excited to get more info on this title. Look for us on Special Ops this November 10th; until then, keep Co-Optimus on your feedreaders for the latest co-op news. Page created in 0.4049 seconds.